The Rev. Ishamel Noko, LWF general secretary, answers a question for the ELCA delegation Feb. 15 in Geneva. 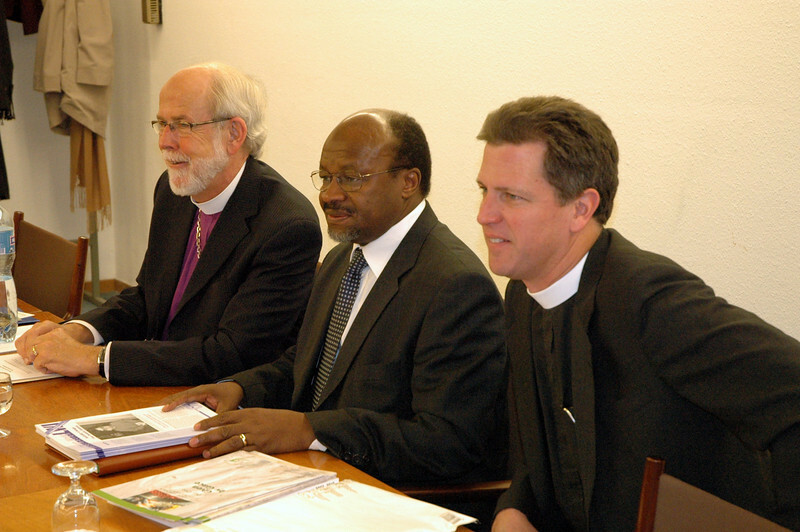 Three of the participants in discussions with the ELCA delegation Feb. 15 in Geneva were, from left, ELCA Presiding Bishop and Lutheran World Federation (LWF) President Mark Hanson; the Rev. 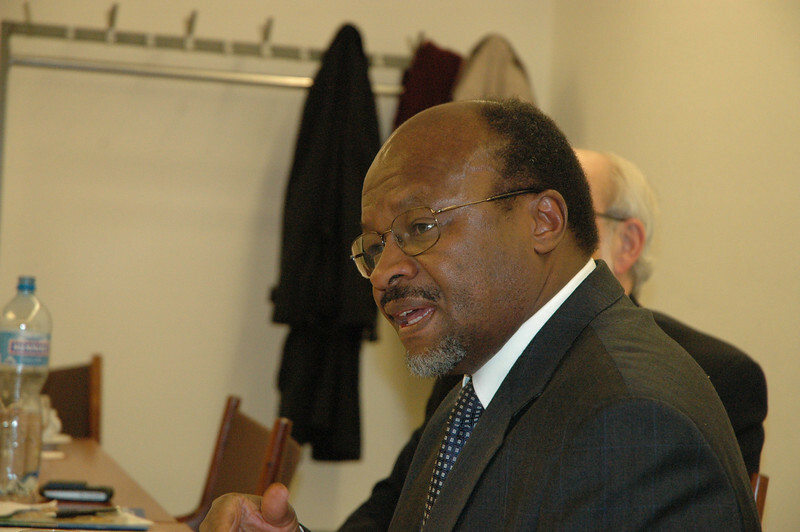 Ishamel Noko, LWF general secretary; and the Rev. Steven Loy, Las Cruces, N.M., ELCA Church Council member. 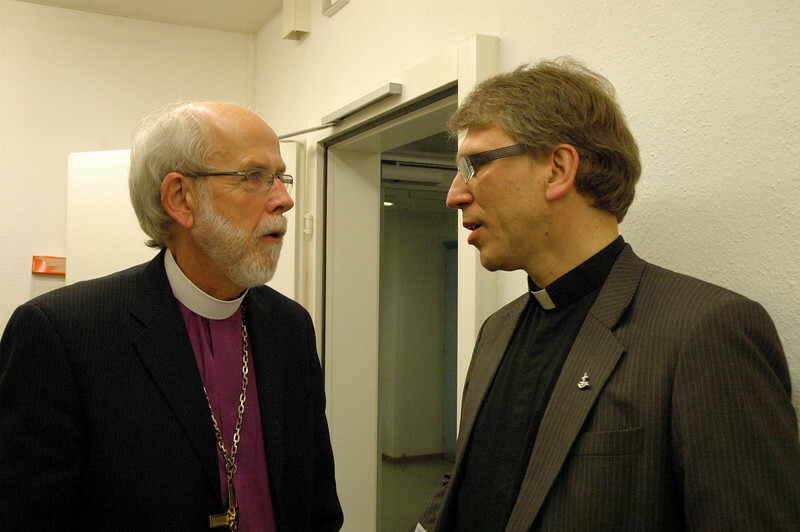 Dr. Olav Fykse Tveit, general secretary, World Council of Churches, right, speaks with ELCA Presiding Bishop and LWF President Mark Hanson Feb. 15 in Geneva. 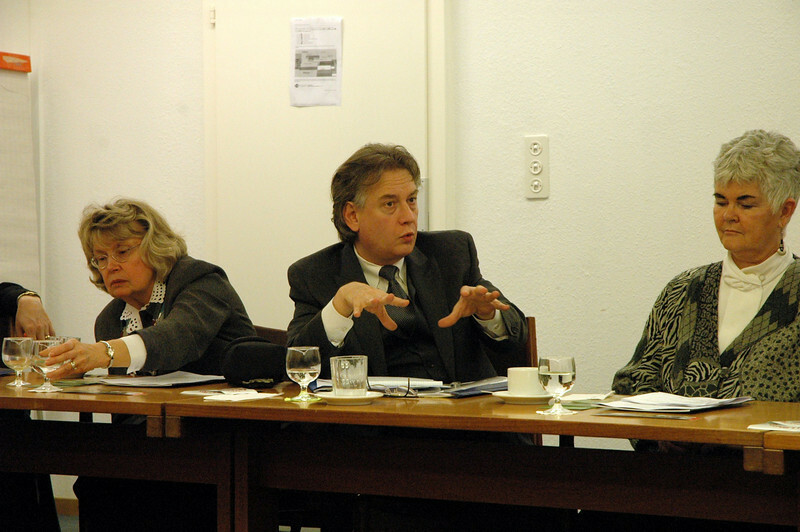 Bishop Michael Burk, ELCA Southeastern Iowa Synod, asks a question during a Feb. 15 meeting of the ELCA delegation and WCC officials in Geneva. 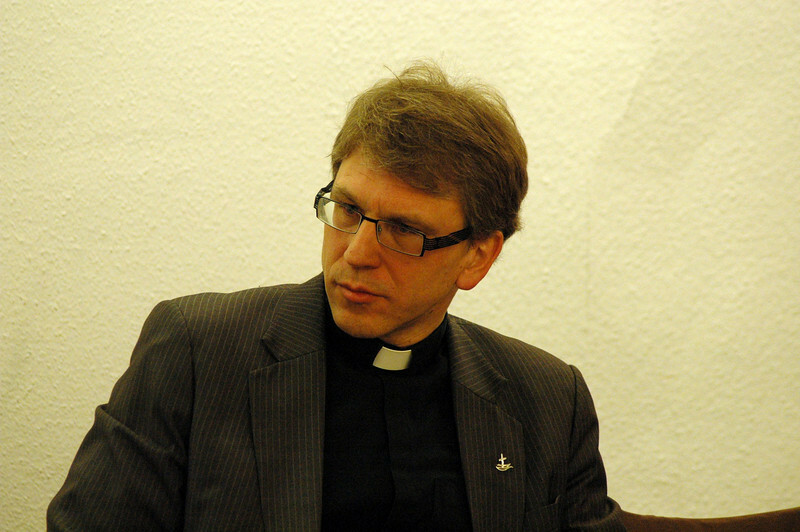 Dr. Olav Fykse Tveit, general secretary, World Council of Churches, met with the ELCA delegation Feb. 15 in Geneva. The Rev. 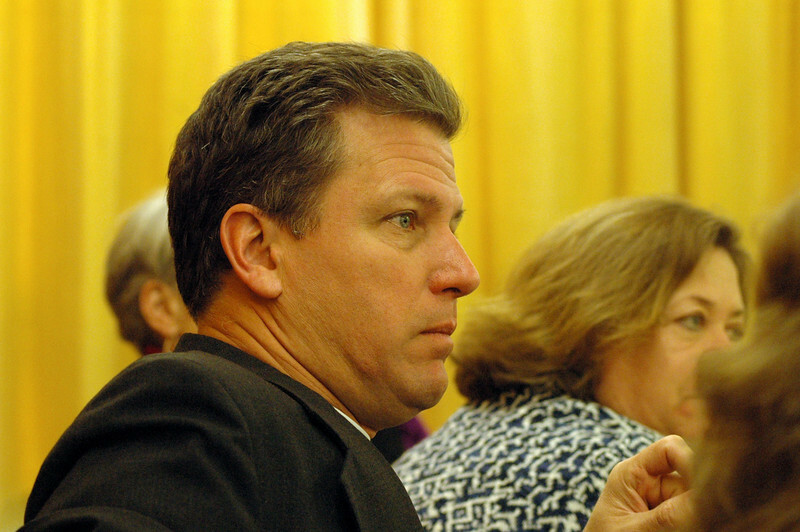 Steven Loy, Las Cruces, N.M., listens to dicussion Feb. 15 in Geneva. 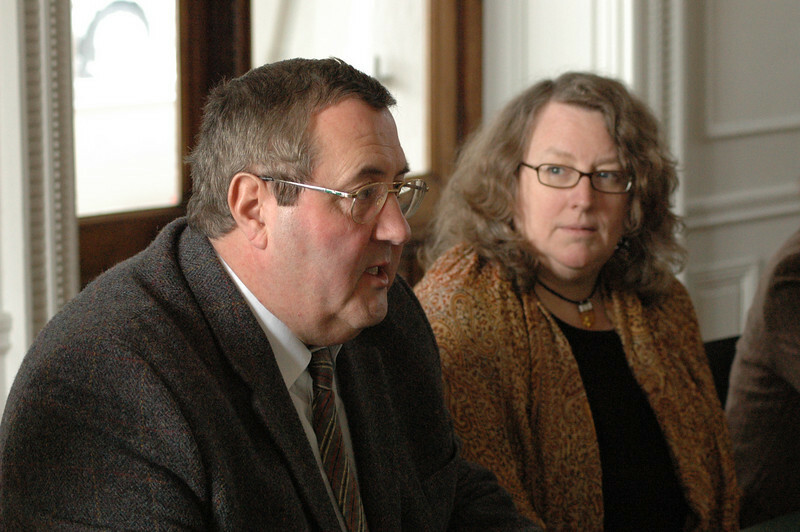 Dr. Rocky Piro, Seattle, president, Lutheran Ecumenical Representatives Network, asks a question Feb. 15 in Geneva. 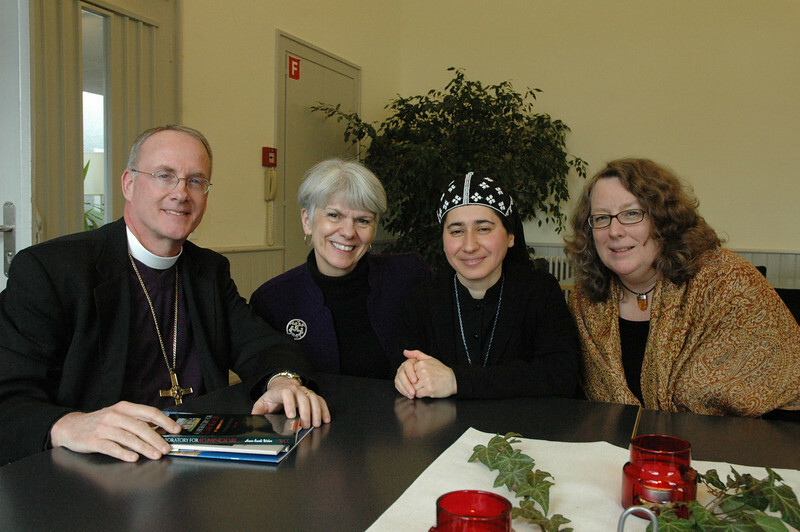 Sister Theodora Baradeus, Damascus, Syria, third from left, with three members of the ELCA delegation at the WCC Ecumenical Institute at Bossey (Switzerland) Feb. 16: From left, Bishop Michael Burk, ELCA Southeastern Iowa Synod; Myrna J. Sheie, ELCA Office of the Presiding Bishop; and Deborah Chenoweth, Hood River, Ore., ELCA Church Council. 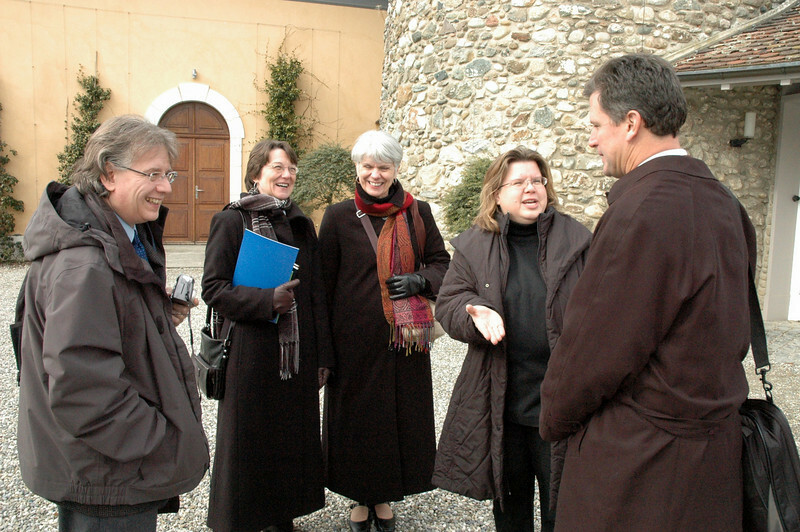 Members of the ELCA delegation toured the WCC Ecumenical Institute at Bossey (Switzerland) Feb. 16. Benjamin Adeniyi, left, Osunstate, Nigeria, a student at the WCC Ecumenical Institute at Bossey (Switzerland), meets Mitzi Budde, Virginia Thelogical Seminary, Alexandria, and Lutheran co-chair, Lutheran-Episcopal Coordinating Committee, Feb. 16. 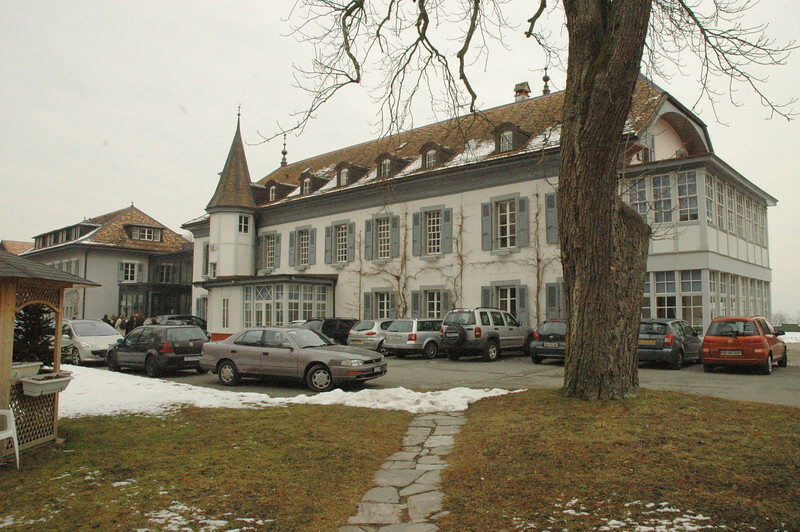 Part of the building complex at the WCC Ecumenical Institute at Bossey (Switzerland), where the ELCA delegation visited Feb. 16. 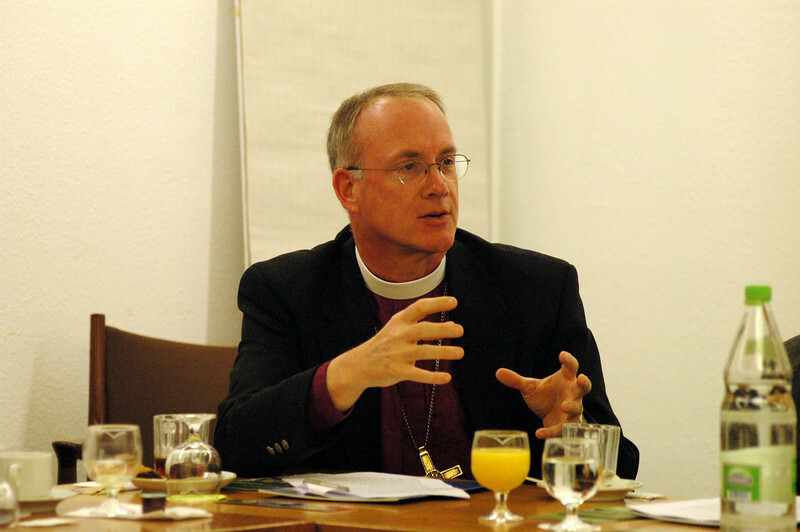 The ELCA delegation visited the WCC's Ecumenical Institute at Bossey (Switzerland). 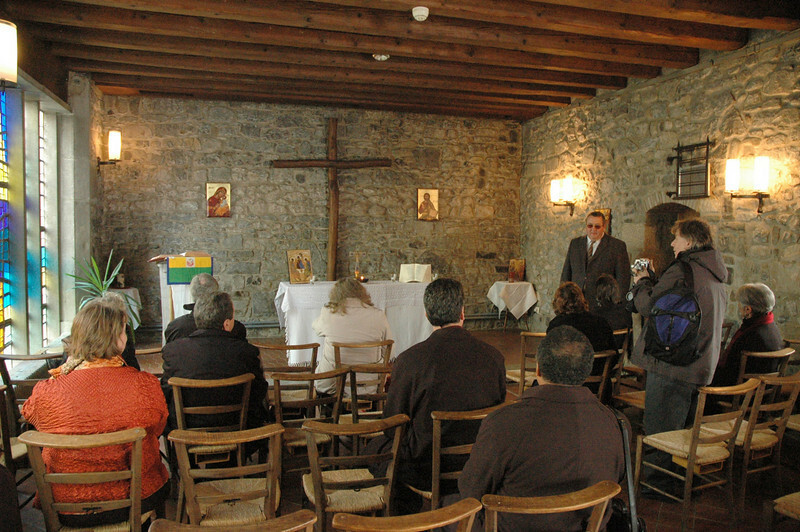 Part of their tour included a visit to the chapel. 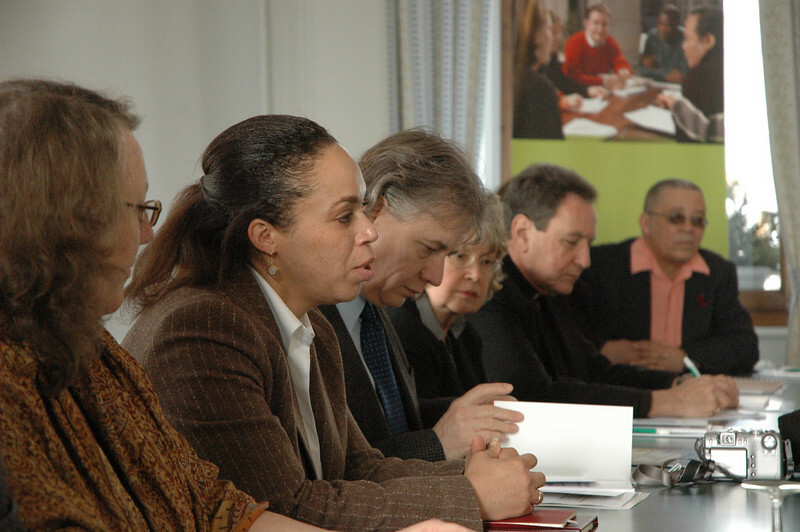 Martin Sinaga, the Lutheran World Federation, foreground, and Rima Barsoum, World Council of Churches, led a session on interfaith engagement with the ELCA delegation, Feb. 16, in Geneva. Dr. Amele Ekue, professor of ecumenical ethics, WCC Ecumenical Institute at Bossey (Switzerland), addresses the ELCA delegation Feb. 16. 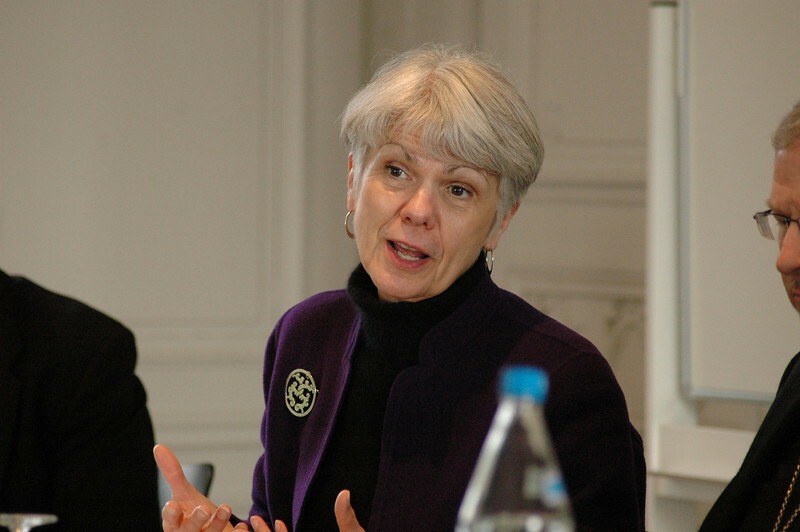 Myrna J. Sheie, executive for governance and institutional relations, ELCA Office of the Presiding Bishop, joins the discussion Feb. 16 during the ELCA delegation's visit to the WCC Ecumenical Institute at Bossey (Switzerland). Father Ioan Sauca, professor and director, WCC Ecumenical Institute at Bossey (Switzerland), addresses the ELCA delegation Feb. 16. To his left is Deborah Chenoweth, Hood River, Ore., ELCA Church Council member.